Astoria, Oregon is a gritty, small fishing town on a hill pushing against the Columbia River. There, I believe I’ve described it exactly and in fewer characters than your average tweet. If I were reading that, I’d know everything I needed to feel comfortable making plans to stay there for a week or so. But I would be trusting the author of that short, sweet message entirely. For example, “small fishing town”. What does that mean? Well to me, a small town is first and foremost locally owned. Small towns have main streets and neighborhoods and when you frequent an establishment, the owner is more often than not on the floor putting in the hours. Small cafes and diners, locally-owned hardware and drug stores. These are the things that comprise the perfect small town to me, and these are all the things that Astoria is. I expect little to no strip mall from a small town, and things like playgrounds and after school programs and streets packed with trick or treaters on Halloween night are a must. There are only just enough people that you regularly see the same faces. Sometimes that means five hundred and other times it means just under ten thousand. Either way, though, you know that the folks who live there are the same ones who have made it what it is. Throw “fishing” into the equation and I assume fresh fillets of whatever swims in the nearest body of water, and the healthy dose of hole-in-the-walls that come with the type of men involved in associated occupations. Think more salty sea dog swilling unlabeled liquor in an alley than your uncle on a trip to catch and release a few. Again, Astoria has its fill of scruffy old fisherman, wandering waywards in-between looking for jobs, and there is no lack of restauranteurs eager to put a smiling face to those men’s halibut, their salmon, their crab legs gone festivity. As for the hill which bore mention, I would assume it steep and tall, but not so much as to warrant the nouns mountain or cliffside. The Columbia River should need no explanation, even if I hadn’t mentioned that Astoria congeals under the rare but brightest blue sky that is the convergence of the greatest of all Pacific Ocean and this river’s mouth. The thing about that sentence that would inspire me to visit the most, however, was the word “gritty”. Dirty, rough around the edges, grunge before Gavin Rossdale. Something could happen, and you’re not sure what. Vagrants, miscreants, kids on skateboards for God’s sake. 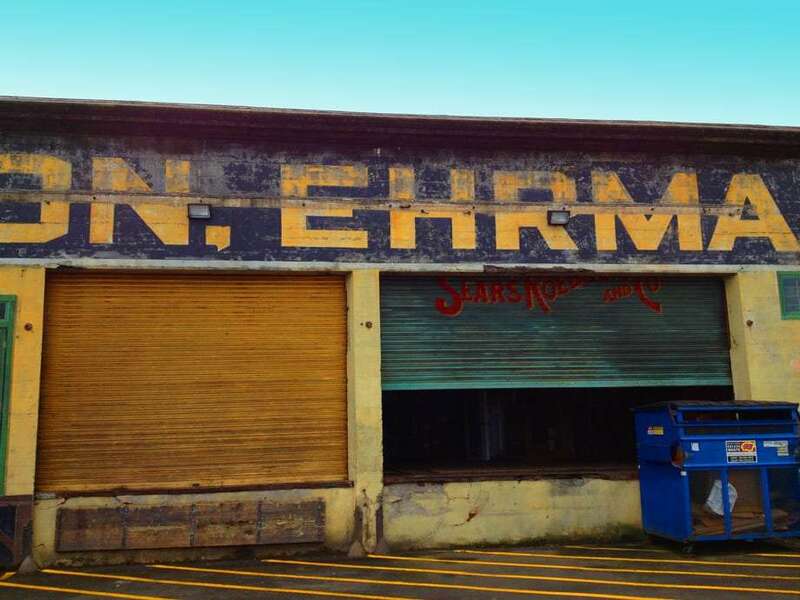 It is the deterioration that is abundant in Astoria that draws me to it the most. People actually live here. The place has gone through hard times and perhaps only recently begun to pull itself back up by the waders. For every one of the technicolor dreamcoat storefronts peppering downtown, there’s an alley where the brick shows through and a warehouse stuffed with a mildewing boat. Remodeled homes hang from the edge of the neighborhood overlooking downtown, an Easter egg basket of Victorian houses. These will get scooped up by Portlanders eager to trade the city life for something slower and closer to the ocean, even while scores of similar, if more sepia toned, homes will hold onto the past thirty years or so of dirt collected from hard living in a town where industry faded more quickly than tourism blossomed. The old city has not given way to the new life residents are breathing into its streets. Astoria is considered the oldest town West of the Rockies. There was a time when boats sailing from China and Finland alike funneled a diverse crowd that would rise up this city on a fisherman’s living. Times would change, trollies and trains would give way to automobiles, fires would twice destroy downtown, and like so much of America that relied on old industry, hard times would fall. The city would antique into disrepair. Not even three years ago we saw that. But upon returning during the mild October of 2013, it was clear that the community had decided to take fortune into its own hands. Beauty had risen up like ivy to fill the cracks and gaps between what used to be and what’s soon to come. We’re lucky enough to have been able to spend a few months here at this elusive time in a town’s rebirth, where gentrification has only just begun and we can truly see the transition of it all. Before the flocks of migratory transients begin to drive up housing prices looking to take advantage of what the long term locals have worked for years to be proud of. Everything in Astoria is not rough around the edges, just enough to show through what was while we all now get to rest on the laurels of those hardworking people who’ve done the nearly impossible: transformed a place. There are plenty of little happy tourist towns in this country where you can go to buy “I Moose Be Crazy” shirts and chug machine made margaritas. Astoria is not a vacation town. It’s not really a touristy place. Some of that is here, yeah, but you can overlook it without blinking twice. Astoria is still real. People are working here, and not just serving drinks to visitors. They’re fixing guitars, catching fish, and driving truck. They’re building websites and great craft beers. It may not be like this forever, but while it is we’ve gone sunburnt by its particular shade of glow. 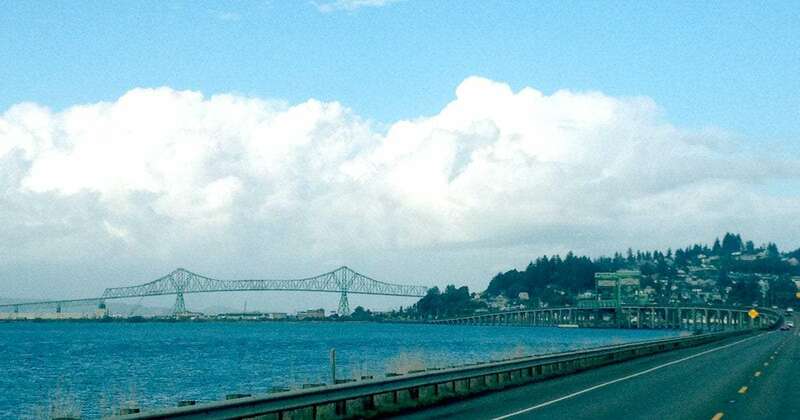 We’ve also got ideas for where to start with our Day in the Life of Astoria, Oregon article. And a few blog posts about our experiences here up our sleeves, and actually briefly covered the city once before in our second issue ever. How to live on a sailboat. Raising kids on the road. Or just follow us on Instagram to see this all unfold as we go.